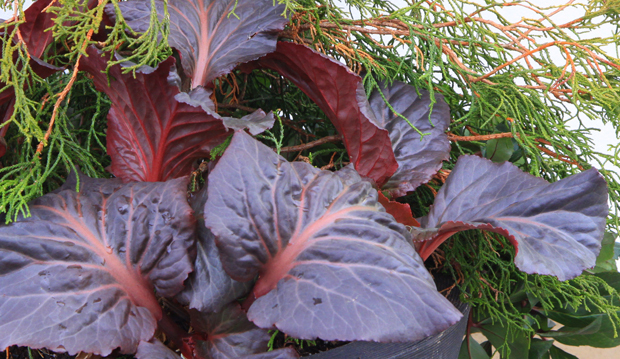 Comments Off on Paul’s Plant Pick: A surprise of beautiful foliage even in winter! 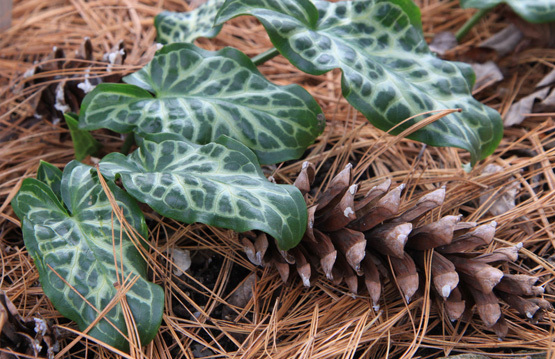 Growing through the needles and among the fallen cones of the weeping white pine (Pinus strobus ‘Pendula’) in the Westview Terrace, one might be surprised to come across the tropical looking foliage of Arum italicum spp. italicum ‘Winter White’, commonly known as Italian Arum or Orange Candle Flower. This Arum prefers a moist organically rich garden setting, however, it seems to be able to tolerate drier conditions in the summer months. Unlike most plants, it thrives in partial to full shade. 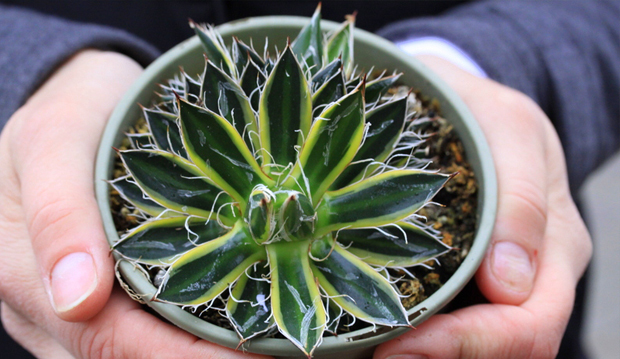 This hardy perennial has a most interesting growth cycle. In late summer and early fall, rather unique arrow-shaped leaves appear. Each leaf has attractive cream to silver marbling. 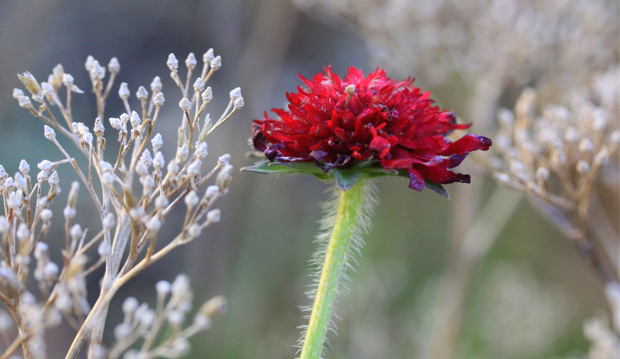 Despite the delicate appearance, the foliage will persist through the winter cold and snow. The plants will flower in the spring and once pollinated, the white hooded flowers are followed in late summer by an unusual spike of orange berries. One should note that all parts of this Arum are toxic, therefore select a growing site carefully. I continue to hope for more snow soon to help insulate the Arums and the many the other treasures in all our gardens. Join me for a free winter tour of the TBG gardens at Get the Jump on Spring, the TBG’s annual horticultural open house on Saturday, February 23. Tours will take place at 11:30 a.m. and 1:30 p.m., weather permitting. Please meet in The James Boyd Children’s Centre.